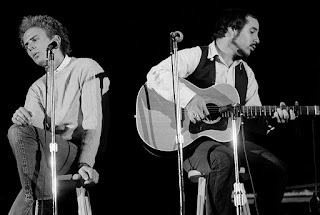 Today in the 'rock room' the needle is drops on Simon and Garfunkel's seminal 1968 LP 'Bookends'. In my personal opinion one of the most legendary albums to come out of the turbulent late 1960's. Supported by some of the most sought after studio session men in the world such as Hal Blaine, and Joe Osbourn, as well as production men extraordinaire John Simon and Roy Halee. 'Bookends' is a brief but beautiful encapsulation of Paul Simon's unparallelled songwriting abilities, and the flashing captured moments created by the definitive singer/songwriter duo. The LP is a collection of Simon's most beloved compositions, held together by a unifying theme and connecting threads of content and melody. 'Bookends' is a record I can always revisit and it continues to sound fresh and relevant. The opening track of the album is the brief and introspective 'Bookends Theme' which sets the stage for rest of the collection. Reflective in its tone and clarity the tenderly picked melody line stirs a mixture of coincidence and chance. The simple figure contains a multitude of emotion in its brief appearance, enough depth to encapsulate and surround the collection. This moment of reflection is detonated by the startling opening of 'Safe the Life of My Child' captured like a Polaroid in mid development,a young boy is balanced precariously on the ledge of building ready to take his own life....or possibly to fly away. Psychedelically produced, cotaining layers of dialog and vocal gymnastics that peek their heads out from behind the hedgerow of anxious acoustic guitar strums. The striving for songwriting perfection and ongoing musical development of Paul Simon is on full display on this record. His songs are dressed in tasteful instrumentation, unified and lofty vocals, and of course, thought provoking and cinematic lyrics. The song builds to the moment of decision on aggressive guitar strums and then leaves the listener to interpret the conclusion. As 'Save the Life of My Child' deconstructs, it segues into the road weary opening hums of 'America', one of the greatest songs written by ANYONE is given its first airing on the record. 'America' is a dusty musical scrapbook for any artist or poet who is in search of the ever elusive. The search for I don't know exactly what, begins and ends with the simple panoramic lens of Simon's pen. Not only is the protagonist of the song representative of the mental and physical movements of the 1960's, but of Simon himself and of the plethora of listeners over forty years later. Acoustic guitars slightly chorused shimmer under Paul and Art's blended singular voice. A whistling organ breezes in punctuated by empty kettle drum hits, the song rises and falls dynamically with the emotion of the lyrics. The lines leading up to the apex of the song, 'Kathy, I'm lost I said, though I knew she was sleeping, I'm empty and aching and I don't know why', blossom into a glorious emotional peak that is one of those musical moments that defy proper expression. Phew. The record thus far has continued to flow as one entity, as with the next song, 'Overs' is connected to 'America' by the sulfur smell of a match strike and a heavy breath. 'Overs' balances on wooden arpeggios, and Simon's astute finger picking techniques. The song looks through a peep hole at a long term relationship destined for failure, but surviving on familiarity and old love. Simple in its instrumentation, the song sits under glass like a museum piece for others to admire and learn from. Garfunkel's solo verses in the middle eight add a ghostly lace over the proceedings, as his clairvoyant tenor pours over the melody lines. After 'Overs', the Super 8 quality of the album continues with 'Voices of Old People', which is exactly that. Art Garfunkel recorded the conversations of the elderly at various locations during the recording of the LP. The segment sits in the flow of the record well, as it matches the stated themes of, loss, age, questioning, time and hope. The record's timelessness is because of the seriousness and relevance of the content of the tracks. Add to this the masterful melodies and immaculate production, and its obvious why this record is so strong. The 'Voices of Old People' track offers a glimpse of the reality of what time does to us all, and the unavoidable ravages of illness and loss. But yet it retains a poignancy that is confirmed by the appearance of 'Old Friends/Bookends Theme' which pushes through the remnants of the voices on a rocking chair guitar strum. The song is a portrait of two friends together on a city park bench, passing time, reflecting, or maybe time has passed them by? Simon from the point of view of a youth asks the lyrical question, 'How terribly strange to be seventy?' A very astute and self aware set of lyrics by young man who had many many years of living still ahead of him, and still does. As 'Old Friends' inflates with a rush of orchestration that washes out of the speakers in colored waves, the 'Bookends' theme reappears from the ashes, but with lyrics this time. 'Long ago it must be, I have a photograph, preserve your memories; They're all that's left you'. So concludes side one, a constant sweep of music joined thematically and maturely developed in its content. Side two begins riding a startling siren sound on hand claps that drops into the helplessly funky 'Fakin It'. Situated on a merry go round swinging acoustic guitar lick, the song picks up its tempo as it races toward the climatic chorus. 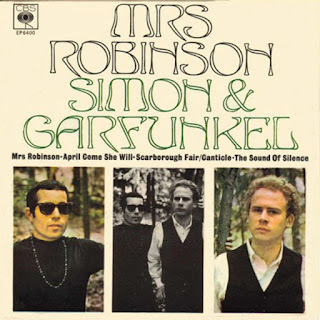 Simon and Garfunkel sing jointly on this sweet track that feels like it goes by in a microsecond. Catchy and groovy, the lyrics capture the crisscrossed emotions of the narrator who is either telling his story, or talking to himself. There is another 'audio verite' moment at the end of the song as the narrator of the tune questions what he was in a prior life, and if he was indeed 'Fakin It' then too! The song makes its exit on the same whining sound that ushered in the opening of the second side. 'Punky's Dilemma' follows and features Simon singing a stoney number that finds our narrator wishing he was a 'Kellogg's Cornflake', or an English Muffin, where he thinks if he had a toaster, 'He'd ease myself down, comin up brown'. Finger snaps and a jazzy guitar strum give the song a chewey organic vibe. A danceable bass line pushes up against Simon's jumpy club riffing, as the song floats on whistles and smoke, eventually coming down red eyed and leaving on tip toes by the basement door. The second side contains no segues as each song stands alone. 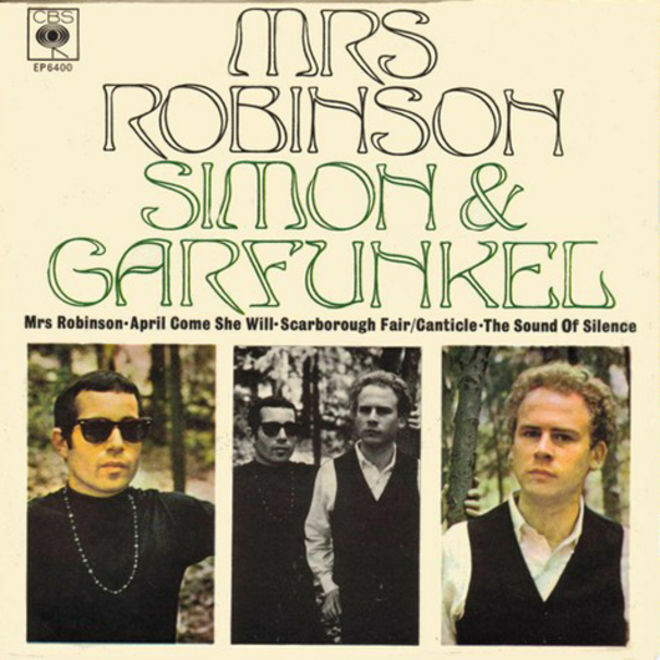 The following track should be recognizable to any music fan as its the most popular song in the Simon catalog, 'Mrs Robinson'. Featured in the movie, 'The Graduate', the song was a single, but also nestled nicely on the second side of the 'Bookends' LP. The groovy picked acoustic riff and tribal thumps propel the song, that now fills the classic rock airwaves in every city in America. There's not much to say except its an exceptional song that like the rest of the LP is perfect in its production and melodic sensibilities. 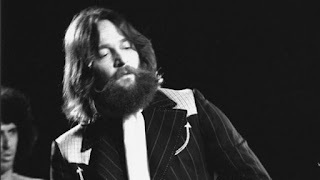 The most 'rocking' of the songs on the album comes next with 'A Hazy Shade of Winter', a tune also made popular by the 'Mama's and the Papa's' who covered the Simon penned song. I prefer this album version which similarly to the rest of the record, deals with the decay of time, and the hopefulness of a rebirth, hence the representation of Winter and Spring in the song. The chunky acoustic guitar riff is catchy and kinetic as the duo's urgent vocals almost race ahead of the music. The song feels disorienting to me as its has a rushing and rotating feel that, just when you think it should slow, it hangs in midair, and then takes off again. The snare pounds the dirty ground emphatically with triple hits of the tambourine adding a dusting of snow to the landscape. Chilly crystalline vocals by the duo highlight this classic number in there undeniable fashion. The LP then concludes with the song 'At The Zoo', a simple ditty that eventually turns into a celebratory skip through the animal farm. Someone told Simon that 'It's all happening at the zoo', and this track is the trip to finding out what its all about. The list of creatures encountered on this journey all have personality traits that are explained in the song, which is light fair, especially when compared to some of the more serious emotions displayed on the record. Somehow it becomes a fitting closer for the LP. The song trickles in with dings and dongs and an acoustic, eventually picking up its bags and heading for the bus in a full sprint with some jangling piano. The smile can be heard in Simon's voice as he almost cracks up at one point in the track. Not only is the song an invitation to the listener, it is also a farewell, as the tune signals the end of the LP. Simon and Garfunkel created one of the most emotional stirring and perfectly designed albums of the 1960's. The LP is easily in the 'rock room's' top twenty when ruminating about 'desert island' albums and what not. I digress, the album is a serious statement in what feels like an effortless display of songwriting and harmony. The record 'feels' like a record because of its unforced thematic tendencies and consistent ideas. I believe that it contains many of Simon defining moments as a developing songwriter, as well as allowing him to expand his endless horizons as a poet. Garfunkel was singing better than ever, and was a perfectionist when portraying his harmonic ideas. This beautiful record is easy for a listener to connect with and I always like going back to visit for a spell.